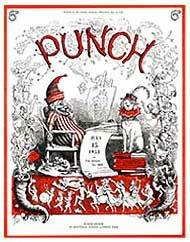 Good ole Punch Magazine.. Dont think you will find them in that library hehehe. or was it this one instead? Nice site on the V-Man lucy....will definitely take some time to peruse that. Before anyone goes off and updates their missing Punch Magazines puzzles from TBTG....those were spoofs. They are not the correct covers nor are they the correct page numbers. Any resemblance to any magazine cover, ficticious or not, is purely coincidental. * no animals were harmed in the illustrations of either cover. thx and DOH - it was late, what can I say! thx re "v-man"
Posted this link to an article way back when on Mark's site, I think. I've always loved the Voynich, especially the middle codex with all the nekked ladies. ...I came here, for some potential solutions, first thoughts, and or failed efforts de-coding this manuscript. Some skeptics think it is a fake. I've only 'studied' a couple of pages, and I haven't found any understanding of anything, a couple repeated words, but nothing I could understand. The book has been carbon dated.